I had the most wonderful holiday weekend — four days to be exact — nestled in the comfort of family, food, and love’s labor. Kate was home from college with no agenda other than relaxing and catching up on family time. Mr. Mom was home and, with the mountain burden finally lifted from his psyche, happy and present. (As opposed to restless and distracted — not that I’m criticizing him, but holy cow it feels good to be on the brighter side of that ordeal). Only Parker was absent — busy earning money in Missouri’s productive hay fields — but still popping in long enough to share a meal or two with a family hungry for each other’s company. Since no one had an agenda, since everyone was content to just be (with long stretches of “being” in front of the television to keep up with the US Open), I was happy to putter. And my puttering consisted of light cooking and cleaning with some heavy-duty sewing. You could have guessed, couldn’t you, that I would tackle another project during the long weekend? I started Friday morning and finished Sunday night and couldn’t be happier with the results. If ever I worried I might someday become a crazy cat lady, I can now release that fear for I have become the crazy quilt lady. I’ve definitely descended deep into the rabbit hole, but it’s become a labor of love, a vast creative outlet that offers an irresistible opportunity to stitch up a tangible and lasting expression of my love and admiration and send it to an unsuspecting recipient. It’s like the quilt lottery, only you don’t have to buy a ticket and I’m the real winner (with huge recurring payoffs in joy). It’s all my brain’s fault! Last week I had the opportunity to take a survey based on the “whole brain” research of Ned Herrmann. The survey resulted in a detailed profile that explains my preferences for thinking and problem-solving based on the four quadrants of the brain and the types of activity central to each quadrant. At its most basic, the profile tells you if your preference is to be a “thinker” (the analytic quadrant), a “feeler” (the emotional quadrant), a “planner” (the organizing quadrant), or an “innovator” (the creative quadrant) — or, if your preferences make you “balanced” in two or more quadrants. Before seeing the results, I would have told you I am a thinker and a planner. I consider myself very analytical and very adept at administrative/organizational tasks (and Mr. Mom concurs, for what it’s worth). Turns out, I was wrong. Based on the Herrmann Brain Dominance Instrument (HBDI), I’m first and foremost an innovator. A creator. An entrepreneur. The purpose of this profile was to better understand how I bring my talents to bear for my employer and colleagues. 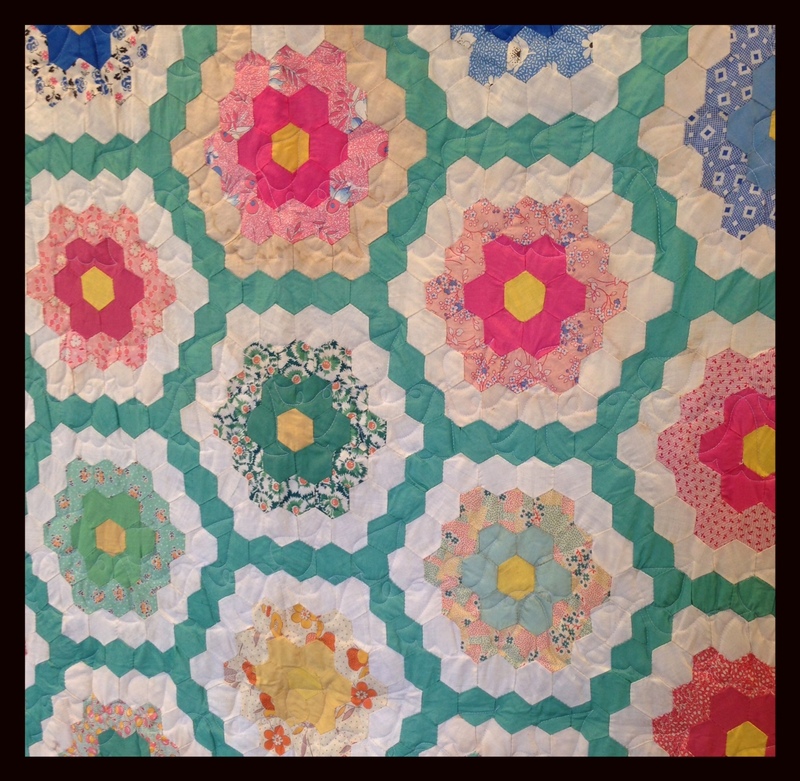 What I couldn’t stop thinking about, though, was my recent foray into quilting. “No wonder I have yet to follow a pattern!” I thought to myself. Since I started quilting in April, I’ve started seven quilts and finished six. 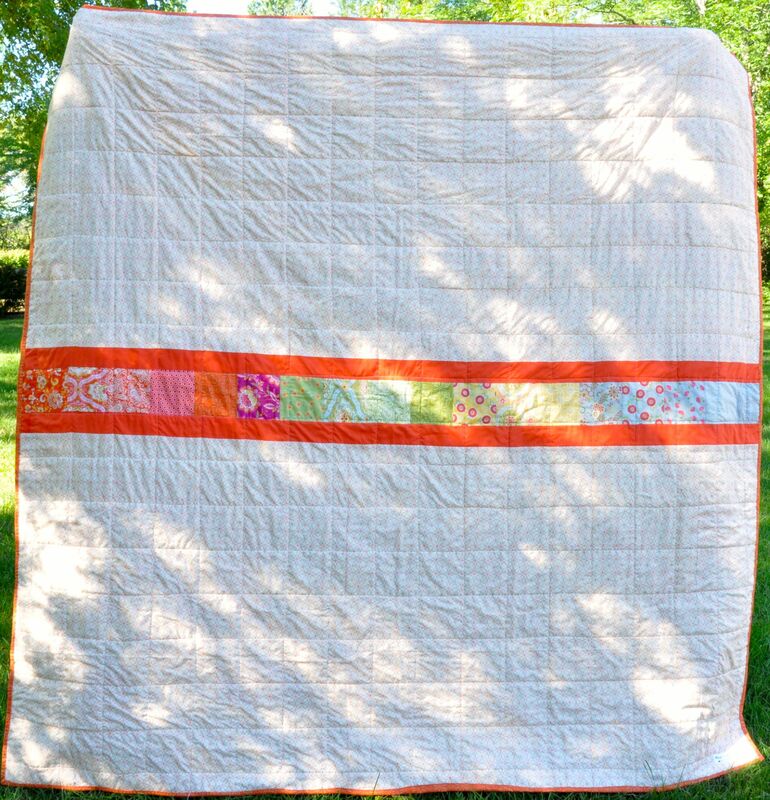 The one unfinished quilt in my sewing cabinet is the one for which I have a pattern. Somehow, it’s just not interesting enough to keep me going. Since I promised Kate I’d finish it in time for tennis season, I’ve got to get over my hurdle and get going — but I keep getting distracted by other projects, like the star placemat pictured above. 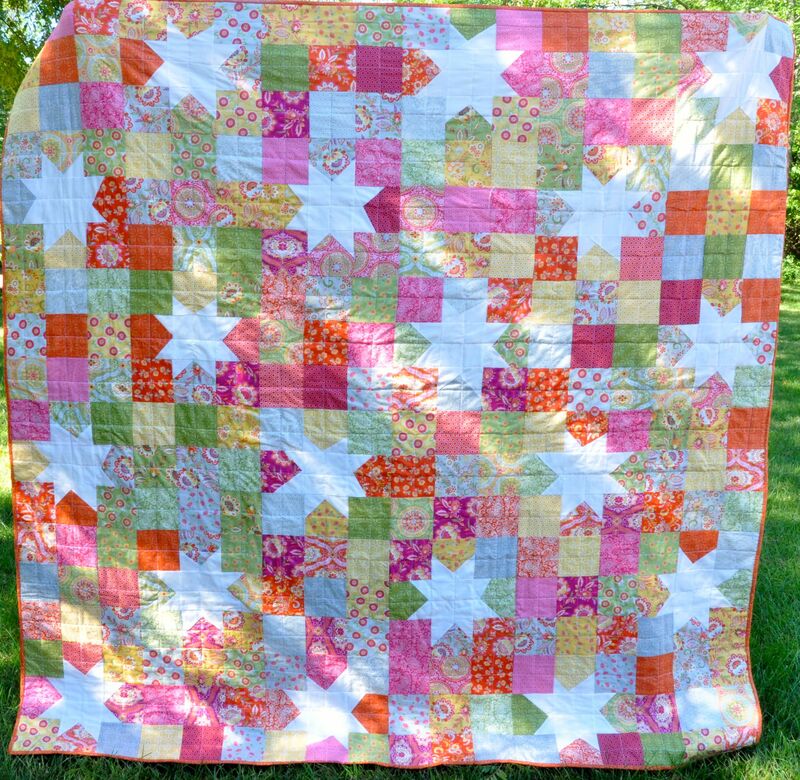 I’ve been casting about for a quilt to make for a friend and this one seemed perfect for her tastes. And it looked so simple — except I’m too inexperienced to figure out on my own how to make the blocks that form the points of the star. After a little googling, I thought I had it. So I got up Sunday morning and used scraps to make a test block, which turned into an impromptu placemat because why waste a test square? So — off I go in search of fun fabric for my friend’s star quilt. And it’s all my brain’s fault! Why? What do you do on a Friday night? It was a long week. A long week with a VERY GOOD middle, but a long one nonetheless. So what’s a girl to do at the end of a long week besides cook a tasty supper and quilt a little? Oh — you mean that’s not what you do? I have no photos of my supper so I guess I won’t talk much about it. I’ll just say this: I made the most sublime risotto with Shitaki mushrooms purchased at the Farmer’s Market. I wanted to eat the entire pot, but I pushed away from the kitchen island and walked to the dining room table. (Where I quilt.) I’m pretty certain I’ll eat the rest of the risotto for breakfast in the morning, but I know you won’t hold that against me. After supper, I made a patchwork potholder. I’m kind of embarrassed typing this, because you know . . . Patchwork. Potholder. It sounds like a bad 8th grade Home Economics project. But it was surprisingly fun. I trust you’ll overlook the fact that it’s a little lopsided and my curved binding is puckered. You sew, you learn. 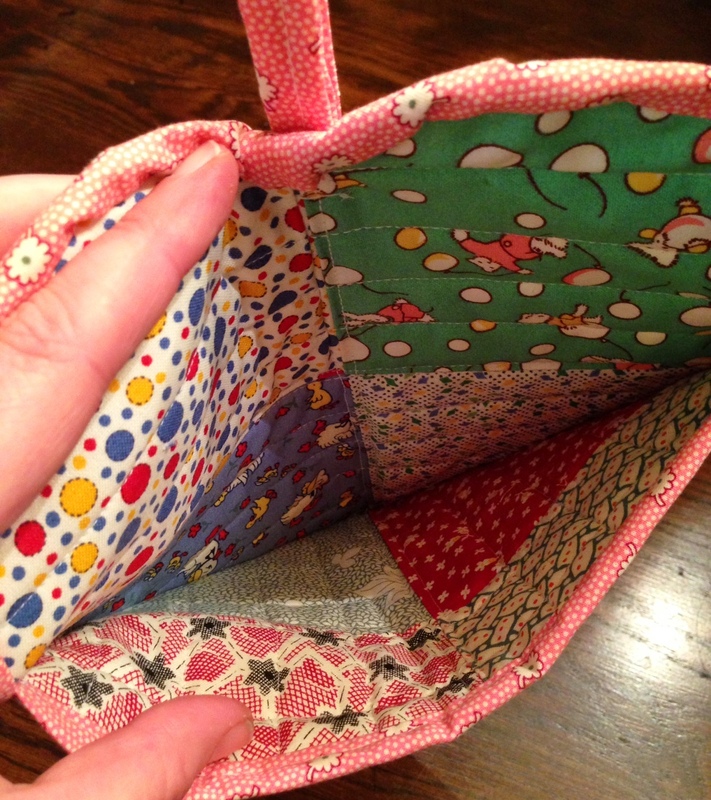 But look — even the inside of the pocket is cute! I get style bonus points, right? The thing is — I needed I small gift/giveaway for an upcoming retreat. AND I needed something to hold several slips of paper for a drawing. 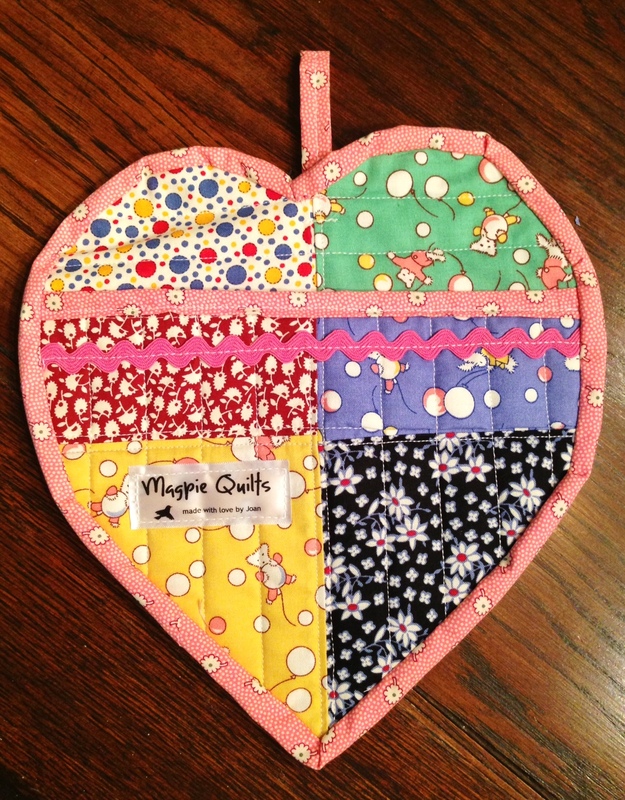 I came up with the idea for a quilted heart potholder after I realized I could put the slips of paper in the pocket and get double-duty out of it as a giveaway. I designed it myself and drew my own pattern, which is a pretentious way of saying it took me longer than it should have. (About three hours.) I’m hoping future potholders will go faster. Future Potholders of America. I’m thinking I might have coined a phrase for a cottage industry. Two days. Two minds. 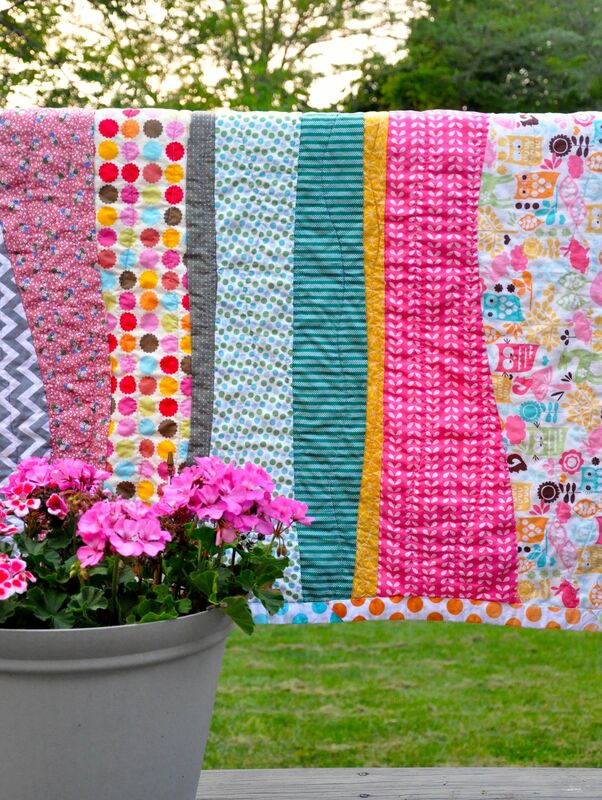 Two quilts. You got it! 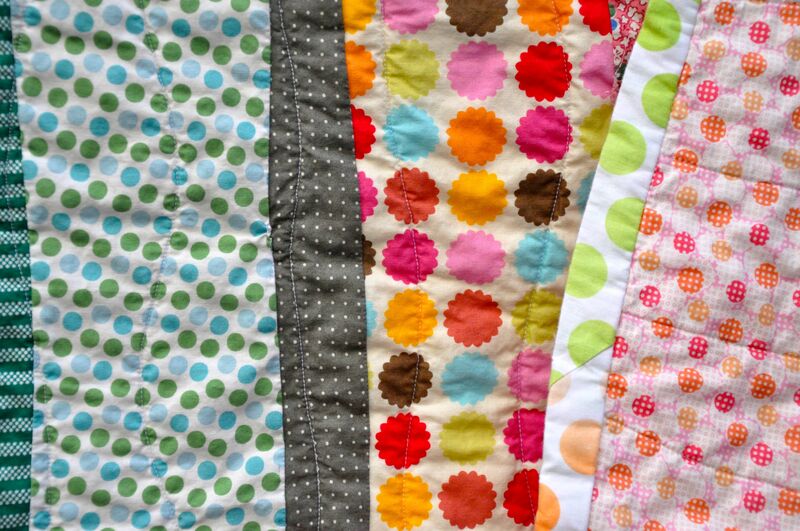 I quilted. Before you tell me I’m obsessed, I already know that. What I didn’t know is just how virulent my particular strain of quilt fever is. 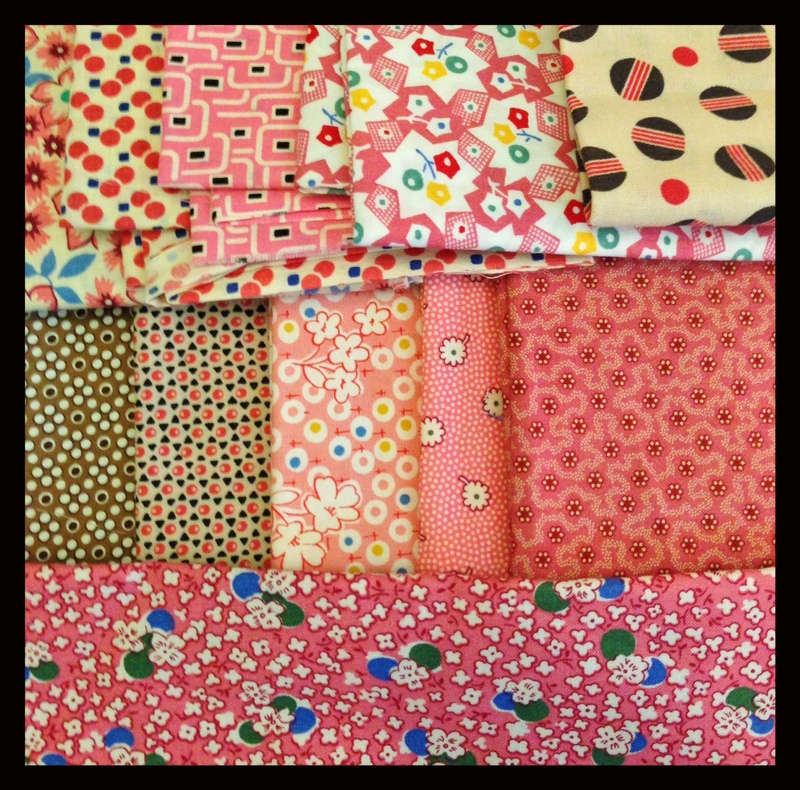 It’s like I can’t sew fast enough to quench my insatiable patchwork appetite. I spent 12 straight hours on Saturday constructing a new applique quilt of my own design. (I can’t tell you about that one until after it arrives at the surprise recipient’s door.) By bedtime, I was bone tired and bleary eyed by what Mr. Mom called “Joan’s Sweat Shop” set up on my dining room table. Sunday morning I woke and vowed to rest, but I stumbled across this photo while drinking my coffee and by 9:00 am, I was off to the races again. 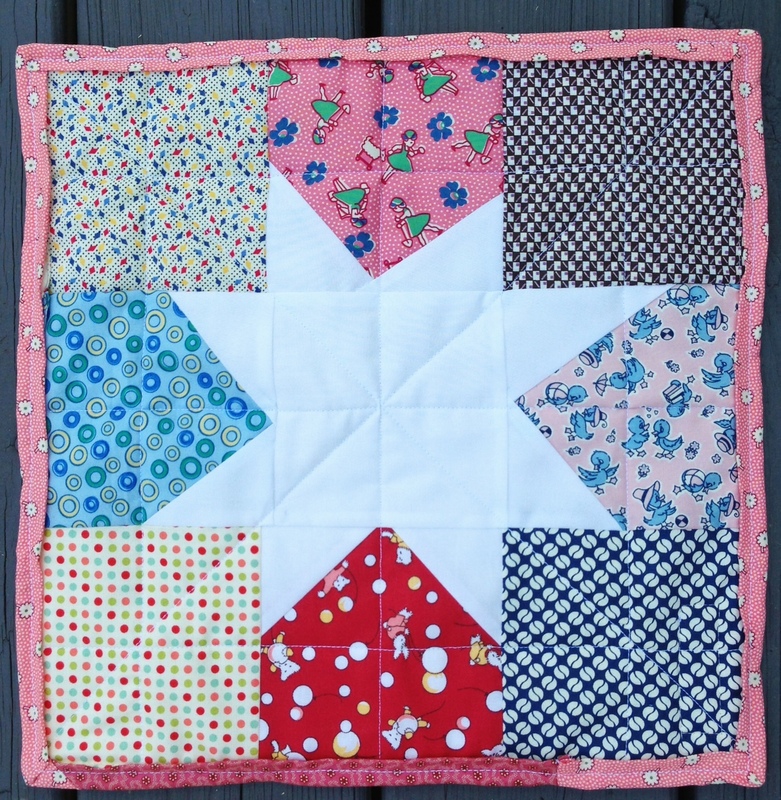 It seemed like the perfect design to make for an upcoming gift occasion, but I’ve learned just enough in my 60-day patchwork odyssey to be leery of quilts that look simple. So I gathered up my scraps and — in a rare moment of enlightenment — decided to make a test quilt. First I read the directions. When they didn’t make sense to me, all enlightenment disappeared and I thought “Oh, how hard can it be?” I promptly made up my own rules because if it works in my head . . .
Well, you’ve heard the same song (first verse) from me before so you can surmise my made-up rules didn’t work. And while I was bemoaning this fact out loud, Mr. Mom took one look at my cutting board and said “Of course that won’t work.” Then he spontaneously proceeded to demonstrate for me exactly how to do it as if he were a master pattern-maker. Sometimes you hate a smart man, sometimes you love him. On Sunday, his instructions not only made sense, they worked perfectly and I have to say I was smitten. AND . . . when I finished stitching and I moaned about how caterwompass this quilt was, he demonstrated the precise measuring and cutting techniques to square it up. My apologies to Audrey and Tucker and Surprise Recipient #3 for their off-kilter quilts. It’s all Mr. Mom’s fault and I don’t know why he waited until now to share his knowledge. 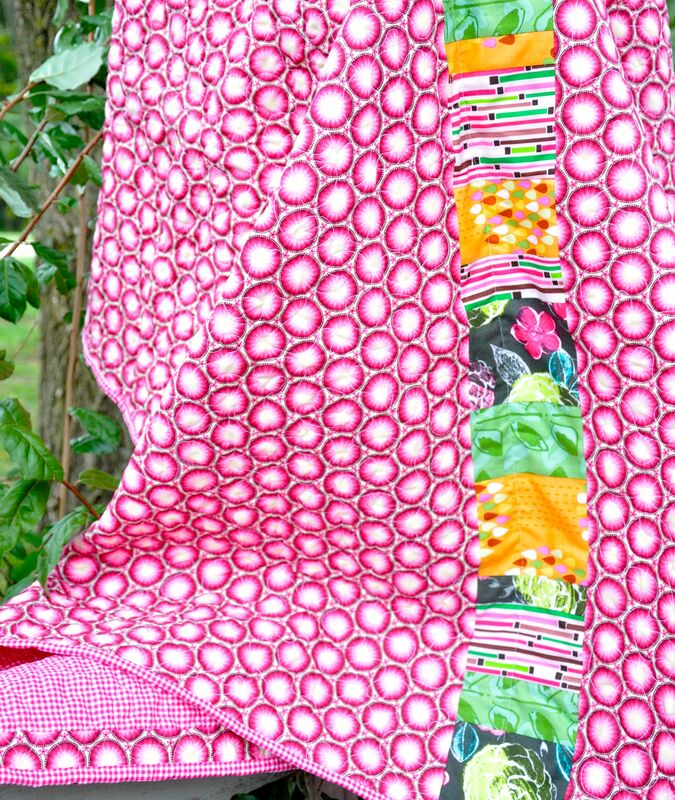 I absolutely love the “waves” of pattern and I can’t wait to select the fabric for my gift quilt. AFTER next weekend. For now, I’m basking in the glow of one exceptionally productive weekend, an unusually talented partner, and the stamina to sew like Norma Rae. I had the most enchanting day on Friday. I went on a rambling odyssey through Missouri and found myself startled, and captivated, and charmed. Oh, if only all my Friday afternoons could be as much fun as yesterday. I left work just before noon in search of a distant merchant. You might guess I was looking for a sewing machine, and boy did I find one. Interestingly, the store was two hours away, deep into rural farm country. Driving miles outside our state’s capitol on a postcard-worthy stretch of land dotted with ponds, proud red barns, and rolling fields of freshly cut hay bordered by white rail fences, I stumbled upon my patchwork Brigadoon. There were a dozen cars in the gravel parking lot (in the Middle of Nowhere, mind you) and a handful of bonneted young women in ankle-length, calico dresses inside the metal building buzzing over customers just like me who had presumably driven miles to this magic destination, known by some as the Quilting Capitol of America. Sarah, an exceedingly polite and cheerful young woman who looked no more than 18, sat me down to test drive several models. I fell in love immediately with the quiet hum of Swiss precision, also known as the Bernina 350 Special Edition. It had everything I wanted and stitched like a dream, but since I realize my average reader isn’t as excited by the technicalities of sewing machine features as I have come to be, I’ll skip that part. Suffice to say, less than an hour later I was paying my bill and realizing there would be many future drives to this idyllic spot where I hoped the crafty Mennonites would teach me every quilting trick in the book. Turns out, Stover was several miles deeper into farm country, another enchanting destination where another metal warehouse held the contents of my dreams. The tin store in the farming community of 900 held 9000 bolts of fabric, ten bolts for every soul that calls Stover home. I spent another two hours there, wandering the stacks in search of cotton treasure and finding plenty. 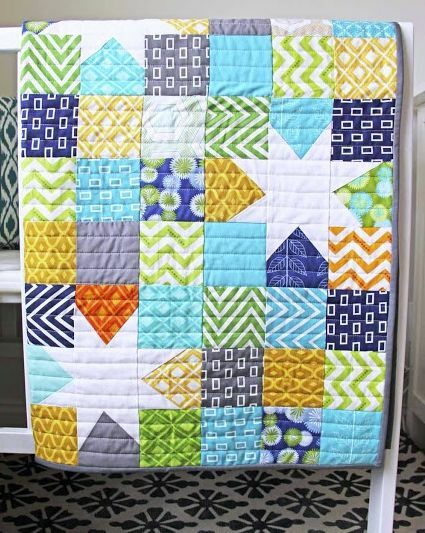 “Quilt show?” I exclaimed? Could this day get any better?! So down the road I went to yet another metal building surrounded by hay fields and populated with cheerful and welcoming women, including one named Priscilla who made sure I bought raffle tickets (for the “opportunity quilt”), met the leaders of the local Quilting Guild, and cast a vote for my favorite entry. My vote went to the maker of this beautiful gem. Her name is Rose. 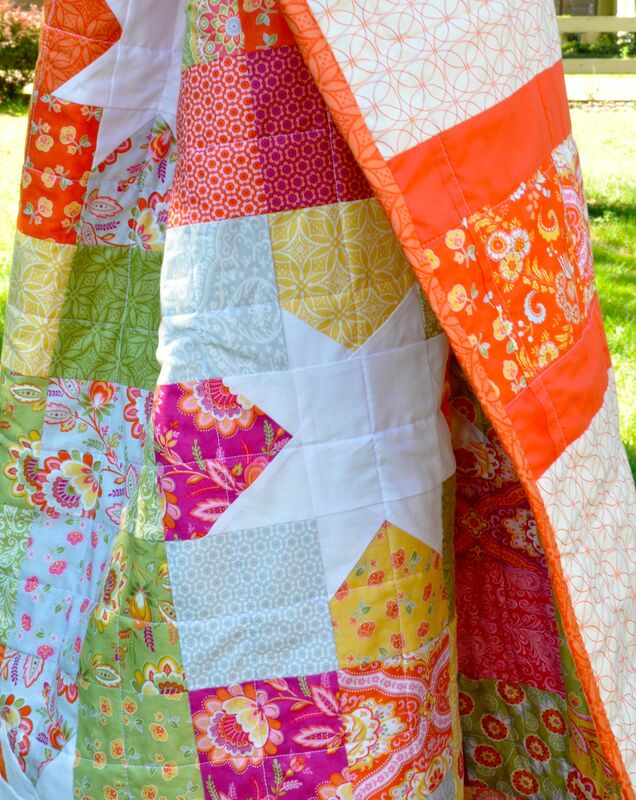 She hand-pieced this quilt. When she was 90. For her daughter. I very nearly wept right there in front of Priscilla, who really wanted to hear more about my first quilt and make sure I met the other show organizer who just happened to be from my town. I finally pulled myself away sometime after 6:00 pm, which meant it was 8:30 pm before I pulled into my driveway, weary but happy and inspired. When I walked in . . . well, that’s when happy and inspired turned into Mondo-Beyondo. There was a surprise so lovely awaiting me it requires another post.